Extended removable lithium ion battery for the rx3000 series of iPAQ units this will provide you with the additional power you need. 100% OEM compatible battery. 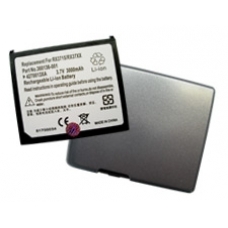 Equivalent to official battery part number FA286A#AC3 The high capacity battery does increase the profile of the iPAQ however a dedicated battery cover is also included. * 2800 mah. * 3.7 Volts.